Setup Guide: How to install UFO VPN on my device? 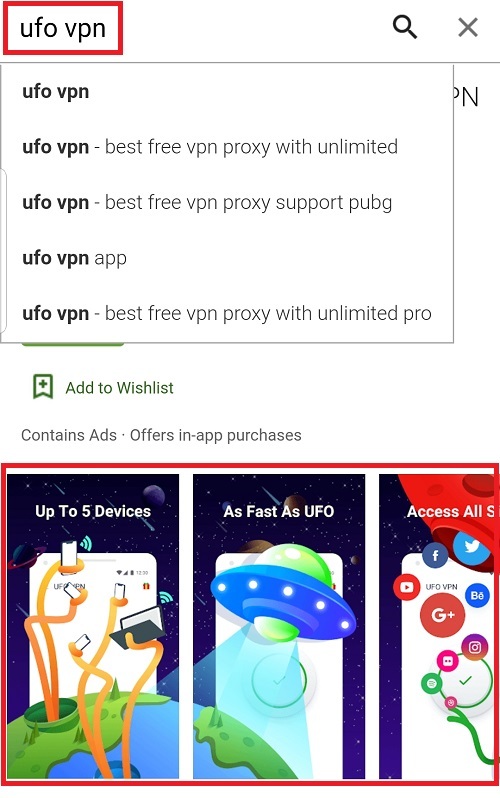 Search for “UFO VPN” in Google Play or click the download button on our official website: UFOVPN.io. And then download it to your Android mobile device. Install UFO VPN on your phone and open it, you are now on the homepage. We will never collect your data and internet activities online. Find out UFO VPN in App Store by searching “UFO VPN” or direct click the iOS download button on ufovpn.io. Then download it to your iPhone. 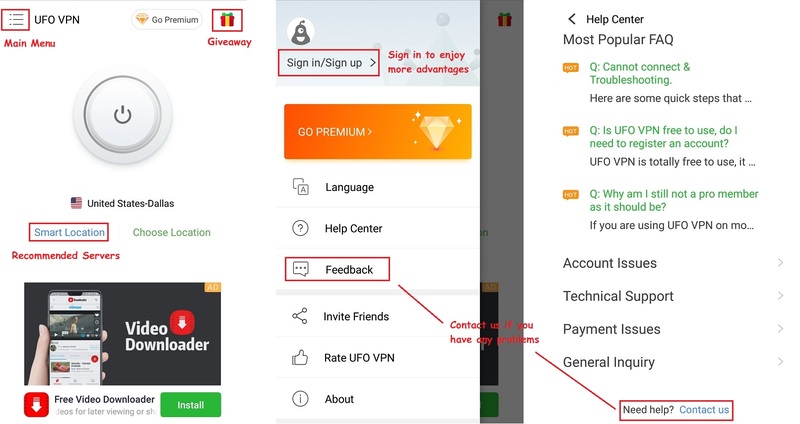 Install UFO VPN on your iOS device, when you open it, there will be a pop-up window asks for permission to allow UFO VPN to add VPN configuration on your iOS device, what you need to do is just click allow to continue. Don’t worry, UFO VPN will never collect your data and internet activities online. Click the Mac download button on https://ufovpn.io/ or https://ufovpn.io/download-mac. 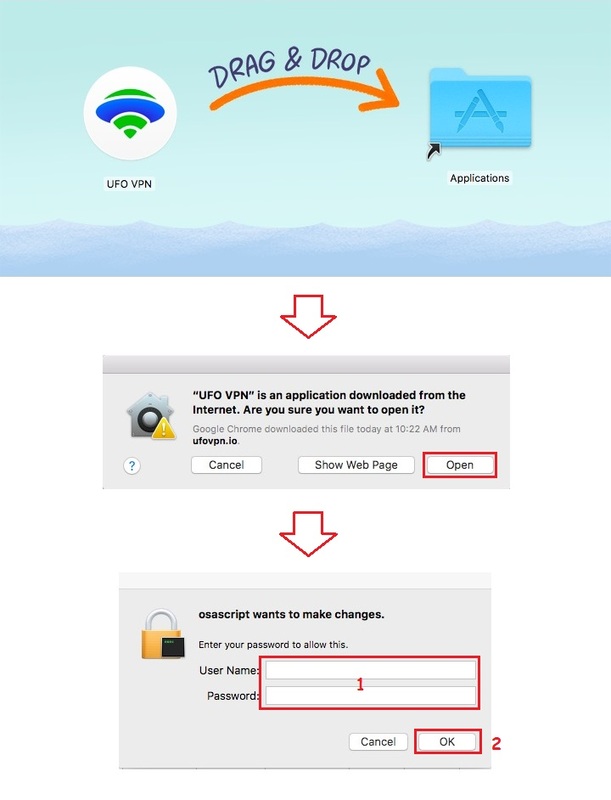 When downloaded the file, please install UFO VPN on your Mac device. The first time you open UFO VPN, your Mac will ask if you want to trust it and need your verify. Click the windows download button on https://ufovpn.io/ or https://ufovpn.io/download-windows. Once downloaded the installation file, please install UFO VPN on your Windows device. When you open UFO VPN, your Windows computer will ask if you want to trust it.